Welcome to the 21st episode of the Animal Law Podcast! 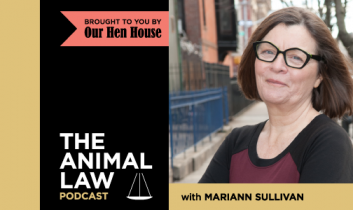 Today, Mariann is joined by Delcianna J. Winders, currently an Academic Fellow of the Harvard Animal Law & Policy Program and a co-plaintiff in a lawsuit against the USDA. This Freedom of Information Law suit seeks to compel the USDA to replace the records, recently purged from their website, that detail violations of the Animal Welfare Act. This is a huge crisis for anyone working to help animals in the industries that are regulated by the Act, and they are fighting back! In fact, this situation is moving so quickly that Mariann and Delci recorded an update about an additional lawsuit filed in this ongoing saga. Listen and learn the latest on the fight to get the records back! The Our Hen House theme song is written and sung by the incredible Michael Harren. The graphics for the OHH podcasts are created by the wonderful Laurie Johnston of Two Trick Pony. Special thanks to OHH’s Anne Green and Michael Harren. 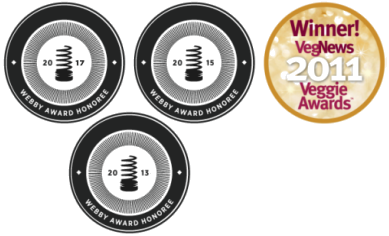 Don’t forget to also listen to the award-winning, weekly signature OHH podcast — now in its eighth glorious year!